We held a great retreat for alumni in NC that have gone on to work with farmworkers, immigrants, and Latinos throughout the state. We held workshops on interpersonal communication, supervision/ mentoring, outreach/ networking, time management and project planning, and had time for reflection, self care, and lots of great discussion. 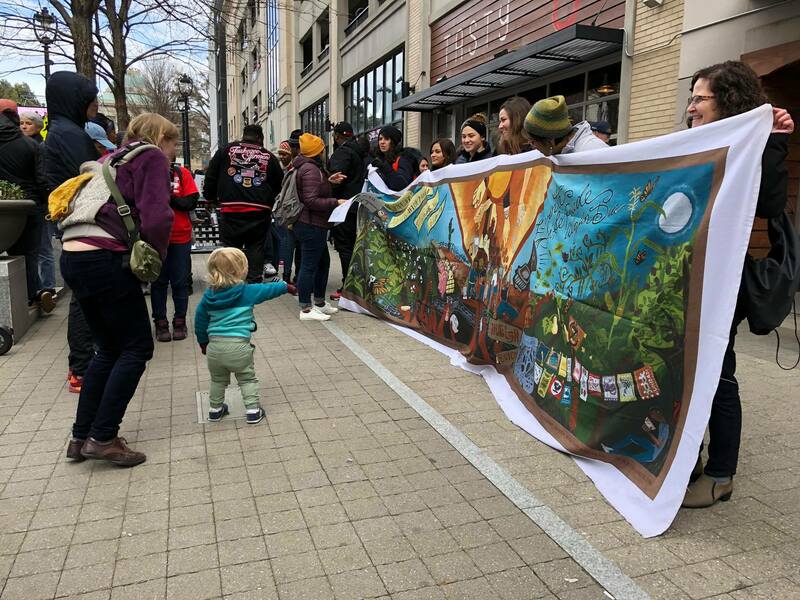 SAF staff, Solidaridad interns, and alumni marched in solidarity with the NC NAACP and other social justice organizations in the 13th annual Historic Thousands on Jones Street Moral March on Saturday Feb 9. We received a lot of attention and thoughtful questions about the SAF mural that our Levante youth made to highlight the history of the farmworker movement. A big THANK YOU to everyone who came out to help out with our t-shirt screen printing event! We printed over 200 shirts plus posters, bags, stickers, and bandanas. 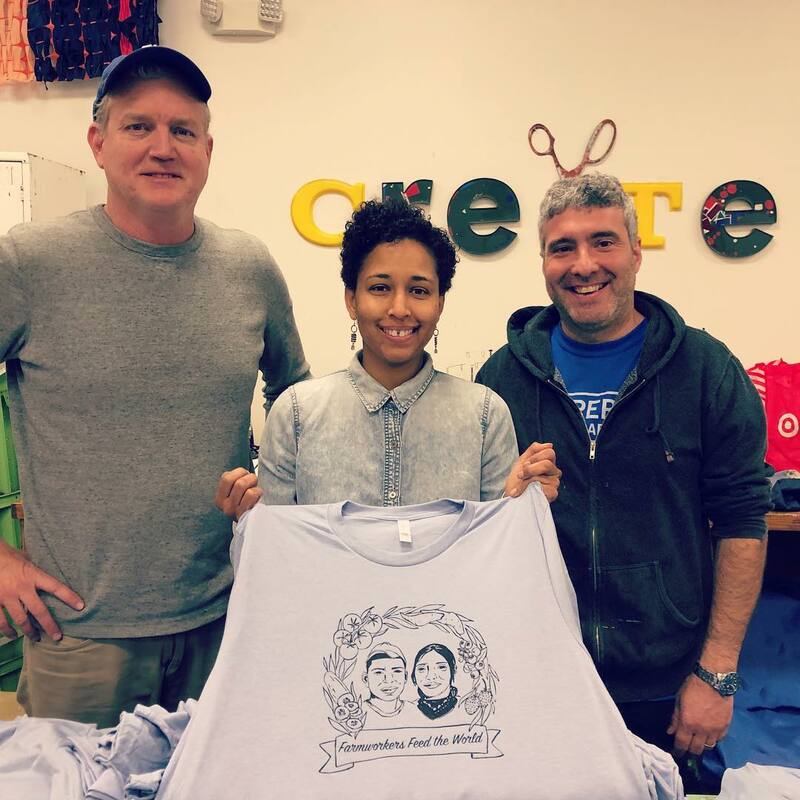 Special thanks to Bill Fick at Supergraphic and The Scrap Exchange for hosting us and to Dominick Rapone and Laxmi Hummel for helping with the print job. And to Maggie Heraty for the beautiful design inspired by a documentary photograph from our archives. We're working hard on creating materials and planning actions for National Farmworker Awareness Week. Don't forget to start planning your own NFAW action for March 25-31. Check out ideas for actions here and add your own event to the calendar.